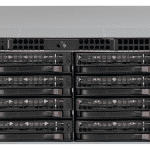 Optimized for high-capacity storage applications, Lucid LJ-2328 JBOD chassis features 28x (16 front + 12 rear) hot-swap 3.5″ SAS/SATA hard drive bays in a 3U space. 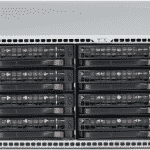 The LJ-2328 JBOD’s design offers extra high-density of HDD per space ratio in a 3U form factor, high power efficiency, optimized HDD signal trace routing and improved HDD tray design to dampen HDD vibrations and maximize performance. 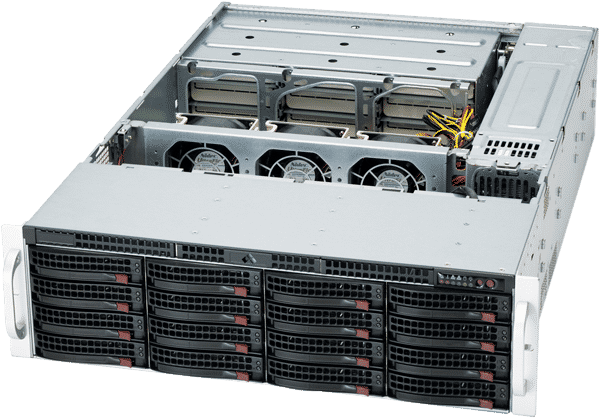 Equipped with redundant high-efficiency 1620W/920W (Platinum Level) power supplies with PMBus functionality and I2C for enhanced power management, and 5 hot-plug redundant cooling fans, the LJ-2328 JBOD is a reliable and maintenance-free storage system.